Shadow lost his short battle with cancer. He went outside, laid down in the sunshine by the pool, fell asleep and never woke up. I couldn’t have asked for a more peaceful end for such an amazing dog. But it still hurts. A lot. Shadow had a rough start in life – found tied to a tire, sick from drinking bad water, he ended up the animal shelter at just two years old. I hope I was able to make that up to him in love over the last 10 years. One of my most favorite memories with him was the one day he got to run around the lake and swim off leash. We found this island, beached the boat, and off he went. Free at last to run and swim. Until we meet again, Little Man… rest easy. Your daddy and I loved you very, very much! 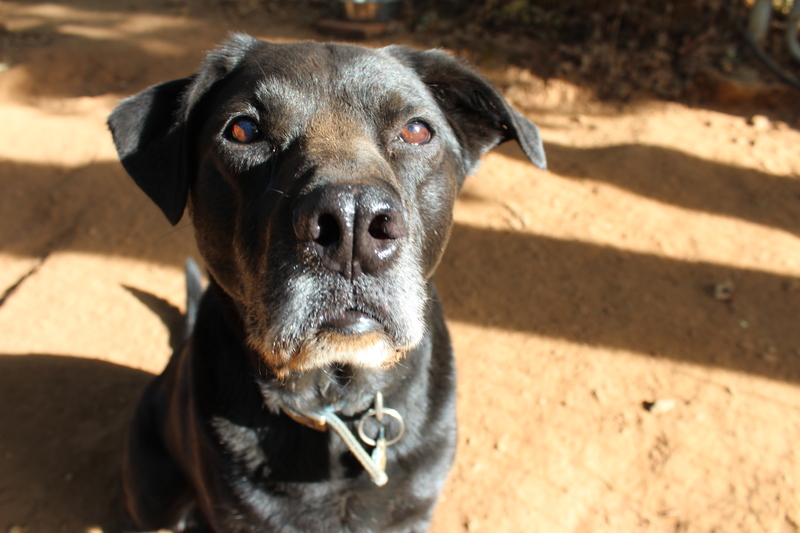 It hurts my heart to write this post… tonight we found out that Shadow has cancer. We learned yesterday that he had a tumor on his spleen and today’s tests show that it’s also all over his liver. The vet says that we have 4-6 months left with him – and pain management is going to be the name of the game. I’ve cried for the last hour… I don’t know how I’m going to find the strength to do this, but I have to, for his sake. Mike and I are on the same page – this dog is going to have the best, most loved few months of his life! Soooo… I DNA tested my dogs. Yes, I’m THAT girl. Let me start with how each of these hooligans came into my life. I picked Shadow. I had just bought my first house and was a single twenty-something living alone. My parents came over, we went to the pound and started looking around. When I walked past his kennel, I knew. As it turned out, Shadow had a rough start in life. He was found tied to a tire, with bad water, and when he came home he had Giardia (a parasite that causes diarrhea). He was two years old and I was in love. The pound had told me that he was a lab mix of some sort… perhaps with some sort of pittie breed in him. He’s now 11 years old. Brady, on the other hand, picked me. He showed up at the ranch one day and over a period of time slowly moved in. He would stay the night and then started bringing his toys over. He got along really well with the other seven dogs at the ranch. One more, though, was not really an option. One day I had gone over to the ranch to visit and went to leave… as I was pulling down the driveway, I saw a blur of dust in the field behind me in my rear view mirror. I stopped to get out and send him back up, when he jumped in my car. We chatted with his owner, who agreed to give him up, and the rest is history. 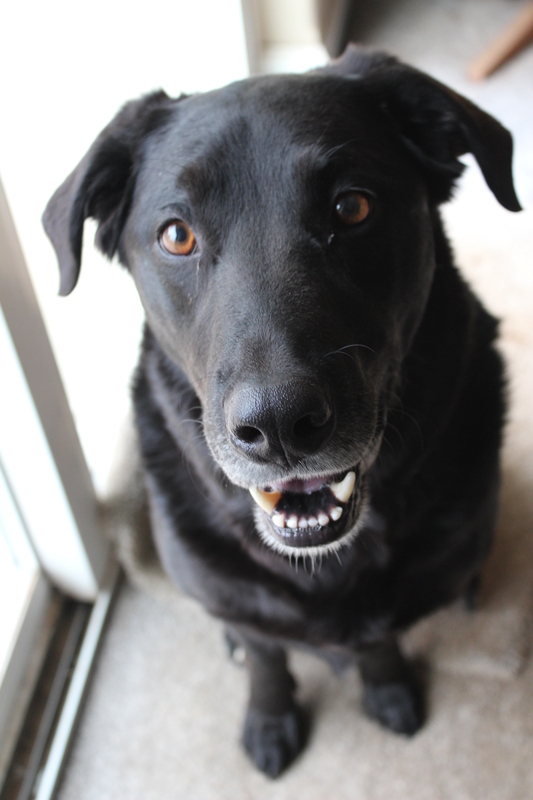 He was definitely a lab, but with something else mixed in… turns out he was a pound puppy before his prior owner. 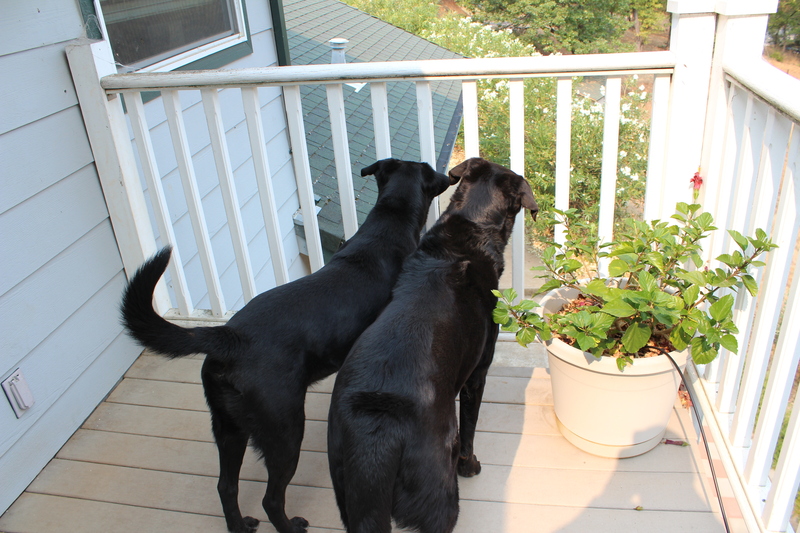 While you may look at both of them and just think they’re labs, I find the results both fascinating and telling. Brady is easier to see – he’s definitely got the lab body, but the lighter eyes and longer muzzle of the border collie (and the fur length). In Shadow, while I don’t see it outright, the rottweiler is definitely in there – in the set of the ears and the shorter muzzle. I used the Wisdom Panel kits (on Amazon) and it was totally a blast! It also tests them for genetic predisposition to drug resistance/allergy, which was kind of cool too! Today I headed over to my parents house with Brady to introduce him to their two pups, Tucker, the lab and Gracie, the golden retriever. They literally had the best time three dogs could have… they raced around the yard, swam, and chased each other. He was very good about sharing his toys too! I took a couple videos too… I haven’t seen Brady do much swimming in a pool, but he clearly knows what he’s doing! In fact, no matter where he was, when I said “jump” he dove into the pool! Finally, every good day has to end with a little treat on the way home. For me, it was a number 2 with no onions and a Diet Coke. For Brady, it was a no-salt hamburger patty. Life is good! My husband is learning faster and faster that I’ve got a big soft spot when it comes to animals. Our count is now two dogs, two cats, nine chickens, two parakeets, one horse, and a handful of fish. Through a series of fortuitous (for me, at least) circumstances, Brady came into our lives. He most definitely chose me… basically hopped into my car at the barn and never looked back. 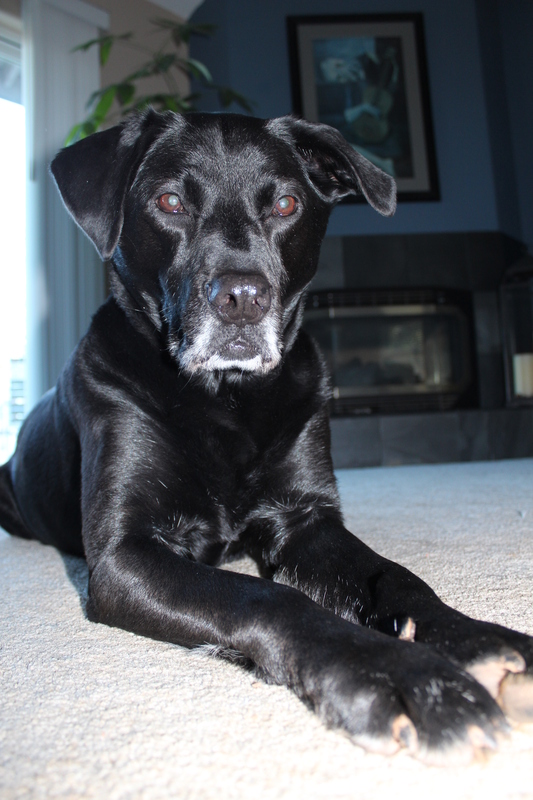 He’s amazing… loves to romp around, but completely submissive to Shadow (who is very much the alpha of our house). He is four years old, is great with just about any dog, kids, and even small animals. He likes to chase the chickens and the cats (he’s treed Felix twice and chased Mask up the banister), but doesn’t hurt them. He is well mannered (need to work on that recall! ), loves to swim, and is pretty good with the horses at the barn. Ok, maybe not pretty good… he’s very trusting and walks where he shouldn’t… the pony stepped on him the other day and he almost got kicked by a pissed off mare, but he’ll learn. He also got himself skunked the other day… once again, need to work on the recall. He’s a really good traveler too… he goes with me to the barn and went out to a couple different ranches the other day as we helped clean up after and take care of some of the evacuated horses. If the fires clear up and we’re able, he’ll head out with me to the cabin this weekend for the 2015 Cowgirl Posse trip. I love having a pup that can go everywhere with me! I’m so happy to be a two dog family now! Life is good! Today is my Shadow’s 10th birthday (the equivalent of about 75 years old in people years). I can’t believe it! He’s spent 8 of those years with me and I’ve loved every minute of it. Mike made him scrambled eggs this morning… he’s definitely a spoiled pup! I love my little old man! My poor puppy has had a rough few days… we noticed when we got home from our trip that he had a bit of an “upset tummy”. After several nights of midnight wakeups to go outside, we finally decided we needed to go into the vet. Turns out the poor little guy just has some sort of stomach bug. He’s lost five pounds, which on a 65 pound dog is quite a bit! Thankfully, the antibiotics and bland diet seem to be working – yesterday was his first day back on regular puppy chow and I’m happy to report there are no rumbling tummies in our house!